WhatsApp Sim card is now available to achieve free chat after its first launch! 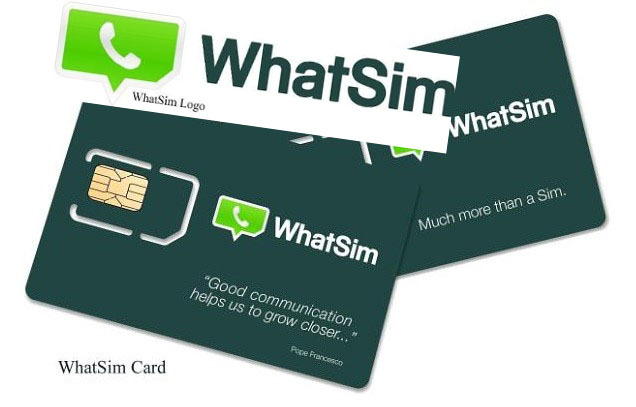 The Sim card known as WhatSim allows users to achieve completely free chat when using the world’s most popular information systems WhatsApp, without any restrictions, and is not affected by the position of the user’s location. WhatSim has service in about 150 countries worldwide with more than 400 operators connected. It can be connected anywhere on the global network suppliers to provide the best coverage and the signal at the user’s location. If a user’s location changes, the system will automatically search for new suppliers. If there is a better supplier selection, it will automatically connect to it. Users can chat via WhatsApp at anywhere, without any restrictions. The Sim card design concept comes from an Italian entrepreneur, who is also the first Italian low-cost global roaming mobile telecommunications operators Zeromobile engineer, founder and CEO named Manuel Zanella (38 years old). In 2011, Zanella with its design of the world’s first Smart Watch, i’m Watch has become a pioneer in wearable technology industry, and therefore became famous. WhatSim called a flash in the pan. People are currently using WhatsApp, even in the course of the journey. But users will need data or Wi-Fi connection to achieve free chat. The most common problem is that usually users will be charged at higher roaming data connection rate when Wi-Fi is not availeble in everywhere. WhatSim enables users to chat at any time by using WhatsApp. WhatSim users only need to pay for the cost of 10 Euros, and can chat via WhatsApp free for a year with anyone around the world. WhatSim has no fixed fee or monthly fee, and it is permanent. Inspired by Pope Francis, Zanella also designed a special edition WhatSim plan for Third World countries. In some Third World countries, WhatSim will cost only 5 Euros instead of 10 Euros.